Heat oven to 400°F. Peel the apples, core and slice; place on a baking sheet lined with parchment paper. Brush with a little of the melted butter. Combine the sugar and cinnamon. 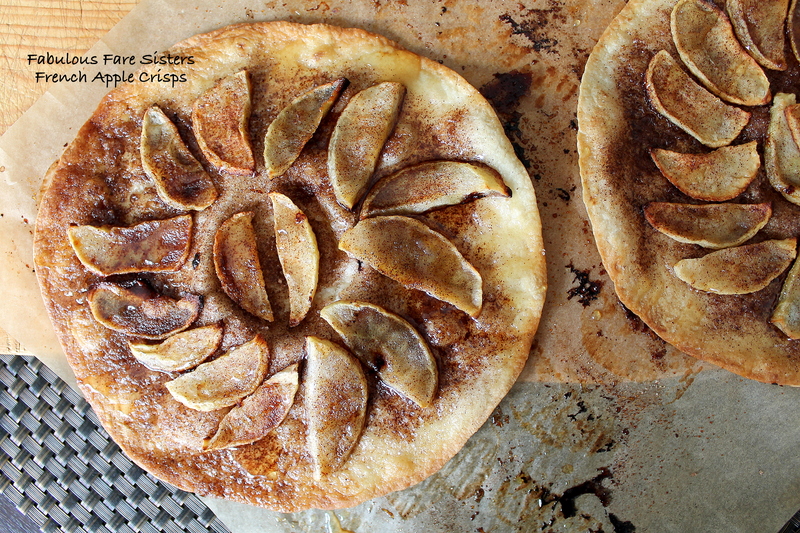 Sprinkle 1-2 tablespoons over the apple slices. Bake 20-25 minutes until tender. Remove parchment paper with the baked apples and reserve. Place the tortillas on the baking sheet. Brush with remaining butter and sprinkle on as much cinnamon-sugar mixture as desired (reserve any left over for another use). Bake 5 minutes; remove from oven. Arrange baked apples on crisps. Place back in oven 2 minutes. Remove from oven; drizzle with honey. Serve immediately. These are so pretty and look delicious too! These are just GORGEOUS! They look so fancy! 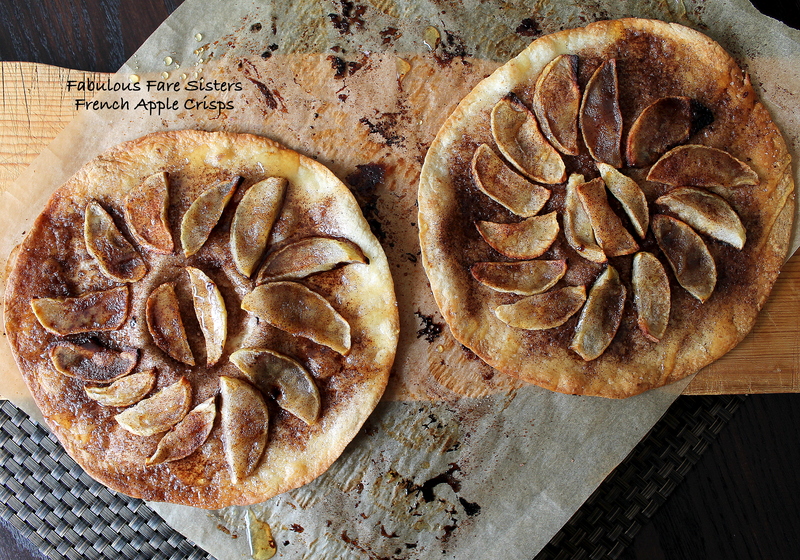 Pingback: French Apple Crisps — Fabulous Fare Sisters – beauty & the foodie.